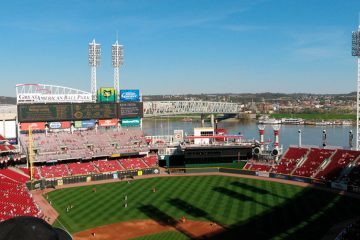 It’s another late night game for the Cincinnati Reds (39-60), as they take on the San Francisco Giants (58-41) for game two of this three game series on the left coast. The Giants loss last night cut their divison lead in the NL West to just 2.5 games over the 2nd place Dodgers. The Dodgers are hosting the Tampa Bay Rays for a two game series starting tonight. Tonight’s starters have posted some pretty ugly stats so far this season. They are a combined 1-10 with a 6.18 ERA over 90.1 innings pitched. Hopefully for the Reds, it will be a tale of two pitchers heading in opposite career directions. Cody Reed is making his 7th major league start, and looking to build on his solid outing last week against Atlanta. Reed allowed just two unearned runs over six innings in that game while walking two and striking out five. The last time Matt Cain posted an ERA+ over 100 was back in 2012 when he had a 126 ERA+. (For reference, ERA+ of 100 is league average.) The past two seasons, Cain’s ERA+ has been 65 and 68. He’s also been bothered with a hamstring injury this season that has put him in the DL twice. Last week was Cain’s 1st start from his 2nd DL stint, and he was rocked for five runs in just 2.1 innings against The Boston Red Sox. In case you missed it, Billy Hamilton added this insurance run just before 1am ET last night. As for Hamilton, itÃ¢â‚¬â„¢s anybodyÃ¢â‚¬â„¢s guess how his career will progress from this point. HeÃ¢â‚¬â„¢ll only have three years of control remaining after 2016, and though he has returned to being a useful player after an ugly 2015, he still doesnÃ¢â‚¬â„¢t profile as an optimal everyday solution. Perhaps some contender will fall in love with the idea of deploying his game-changing speed down the stretch and will put in a call to Cinci. Four years later, and I still cannot believe that the Reds couldn’t win one of these two games against the Giants. The latter of which was started by Matt Cain. Cody Reed is in search of his first major league win, and I cannot think of any better team to pin it on than the San Francisco Giants. What contenders have CF who don’t hit? Any of them would get an upgrade with BH & I would be happy to let him go for a B+ prospect. 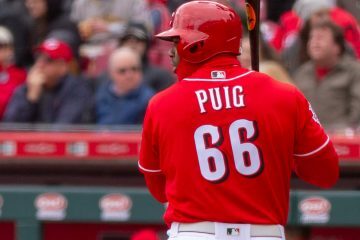 He is not a good fit for the Reds roster, we need more OBP guys. I disagree. I would bat Billy 9th and leave him there. Even if he did improve and could help at the top of the lineup then he’s dealing with all the extra steals and sliding and would probably just make more trips to the DL! Find a leadoff man (Winker?) and bat Votto 2nd….then on to the next issue! At the same time if I was Colorado….I’d make a very nice offer for Billy with that state-park sized outfield and the fact that a groundball between SS and 3B is a double for him since the outfielder has to run so far to get to the ball. He could use that speed with them so much more then with the Reds. They’re not going to get a high OBP guy for Hamilton so who exactly would you expect to get? Another pitching prospect? Another low OBP that isn’t as fast and not as good defensively? They need to draft and develop high OBP guys as they can’t afford to buy them and don’t have the prospect depth to trade for them. Trading Hamilton makes you worse defensively and you’re not going to get anyone to help you offensively…..a double dose of bad. I think it’s too early to start talking about trading Billy Hamilton. His hitting has improved this season and when he’s on base he can be a game changer. The guy covers a lot of ground in centerfield. As stated above, Hamilton should bat in the lower part of the order, and the Reds need a OBP leadoff man such as Winker. While we’re talking about the Yankees with their Chapman trade….noticed Didi Gregorious is hitting .297 with a .792 ops (11 HRs) and was always known as very good defensively. He’s 26! Can’t even remember who we got for him? I wonder if Jocketty was the one kid out of 4 in a monopoly game that the other 3 targeted to fleece when times got tough? Didi was part of the three-team trade for Choo. Oh ok….that’s right! I guess they didn’t have a place to play him but you could tell he might be pretty good and he’s turning out to be a solid player! Is Votto locked in or what? He is making a prophet out of a lot of us. I done everything but guarantee he would have one of the best 2nd halves in baseball. Feels good to have the real Joey back. If he could just put together 2 halves together, he would run away with the MVP and be widely known as the best player in baseball. And that is not an exaggeration. Seems like Cody Reed has had bad luck in every start. Errors, bad defense, bloops, etc. But he has got to learn how to pitch and not just throw. A lot of 2 strike base hits tonight for the Giants. Cody should have had like 7 K’s. It actually started at the end of May so he’s having (hopefully) a good 2/3 of a season. I hate Joe West. Such a terrible umpire. He called that 3rd strike for 1 reason and 1 reason only…because Billy didn’t like the first 2 called strikes. So Joe West is like “Ok, I show you, I’ll call the 3rd one a strike too”. He tries to make the game about himself and I HATE THAT.